I thought the next one should be a redo. I selected this one. However, I thought it would make a perfect guinea pig to practice making a junker. So I opened up one door. And started making some holes. Contrary to Bill Engwer's advice I have no plan. I couldn't find an image to use as a guide. So I'll wing it. It'll have four flat tires, or maybe three and a rusty rim. For your holes, work from the back side. As for your flats. Those look really good. REALLY good. I'd knock off the shine with lacquer thinner and get them dirty. I agree with Mike, those flat tires are cool. I live near an Auction lot, and they have a 49 Olds that has 3 flat tires, and when the tires went flat, the trim rings popped loose and are sitting crooked on the wheels(something to try,maybe). I like the "no plan" idea, that makes it a fun build. I would like to see some rust and chipping, even some wear but I'd like to see the red too. Do I respray and wetsand down to the red? 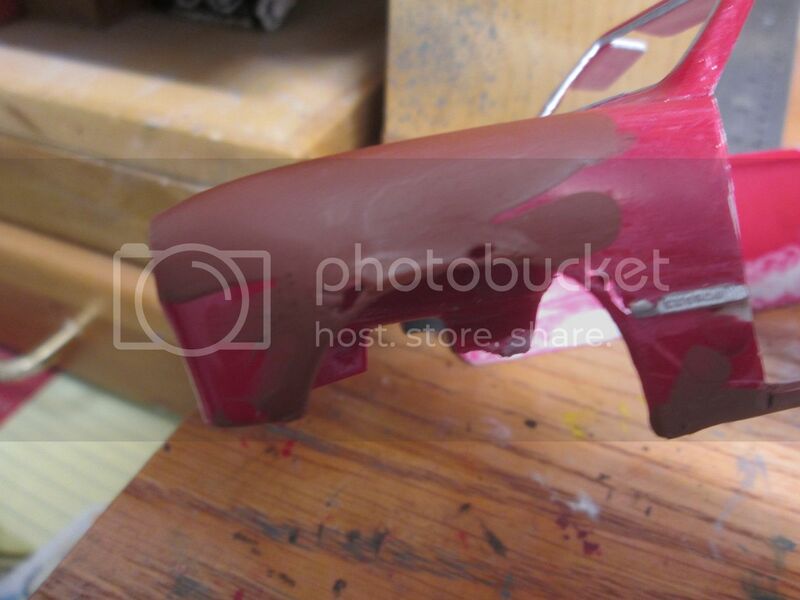 Or do I airbrush just the areas I want to show rust? I tried to watch some videos but I find them incredibly painful to watch. I think I'll try some of that salt treatment around my holes. Au contraire. I believe you have a very subtle and sophisticated plan, a seemingly-random yet well-structured emulation of natural entropic decay at work. 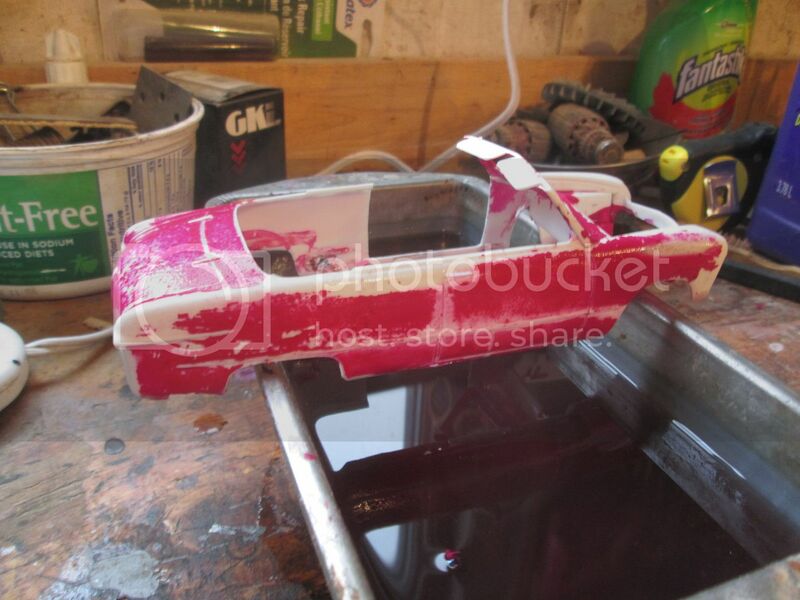 Rather than respray the body Red, use some triple 0 steel wool and lightly go over the body. Do a little rust around the holes then spray everything with flat clear. The same with the tires, just spray them with flat clear and from arms length so you get a very rough finish like a well worn tire. You should collapse the suspension on at least one corner. You're going to leave that door hanging open aren't you ? You're going to leave that door hanging open aren't you ? I was thinking about doing something like that. 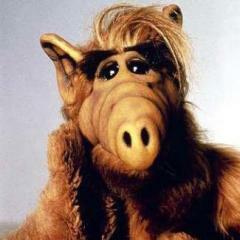 Perhaps with a sag. Ya you just know the hinges would be worn out by this point. I like what you're doing, but it hurts, I love the '49 thru '51 Fords and have owned a few thru the years. Just a suggestion on the salt. You may want to try finer salt. Or, a mix of fine salt and slightly larger salt. 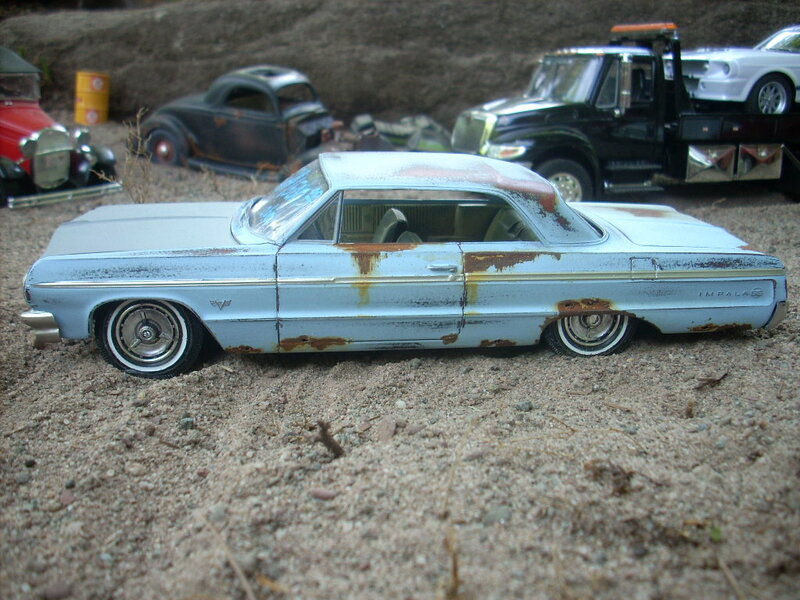 This gives a more natural rust effect. I used Himalayan Pink salt on this. Because it is not refined, the texture is more varied. 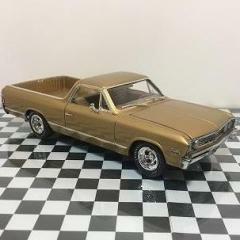 After you have salted it, go over the paint with a wash, this will highlight the ares that the salt covered by getting stuck in the imperfections. BTW, I am no expert. I have learned a lot about this by looking at how the Armor guys detail their tanks and planes. Lots of info on the web. Every model is a learning opportunity for me. I hope I am getting better. I used what I could find. I think it is pickling salt. You are right, it does look big. I love your mini. Now I would be interested to hear the sequence you followed to do this. My salt job didn't pan out. I think I'll have to strip & start from scratch. I can't take credit. its hardly my original idea. But, I will tell you what I did do. 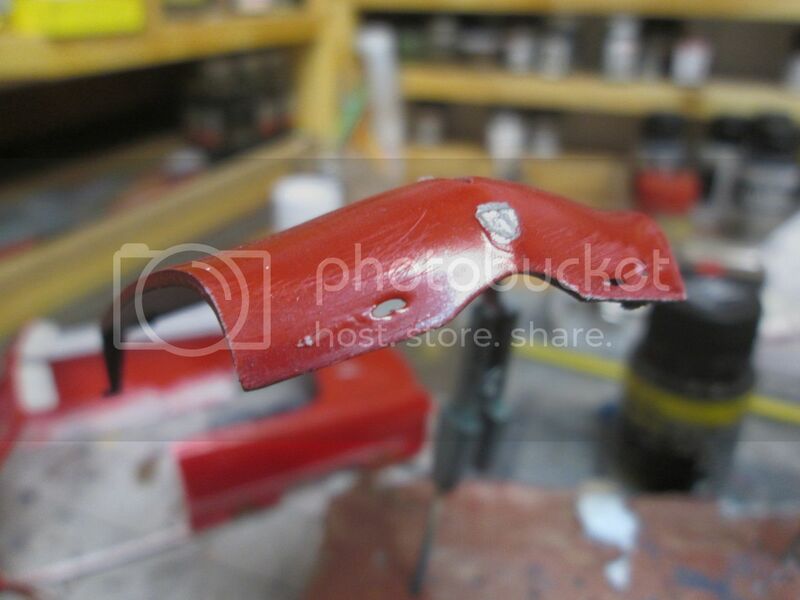 I started by painting the body with a red oxide primer, it looks like rust. 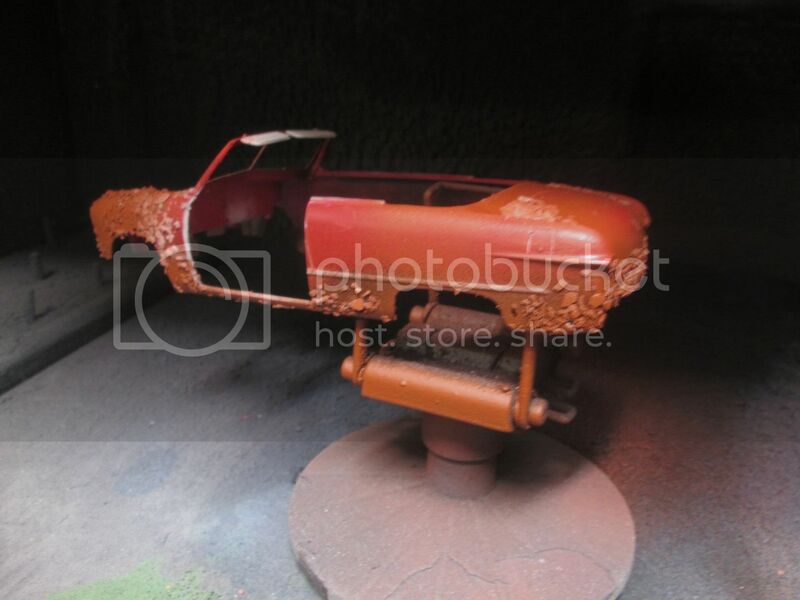 You can also fog in, or air brush some other rust colors too to give it a multi color of rust. Then I used a paint brush to wet the ares I wanted rusty, sprinkled on the salt. Let dry. 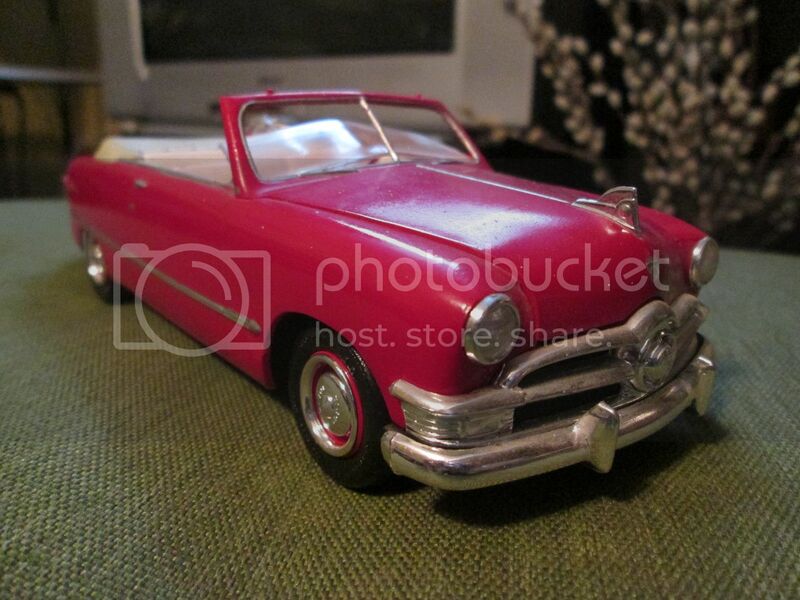 Painted the top coat color, this happened to be a Duplicolor Ford Red, but I have used other paints. Once the top coat is dry, you use a tooth brush or other stiff bristle brush and scrub, with water till the salt is gone. 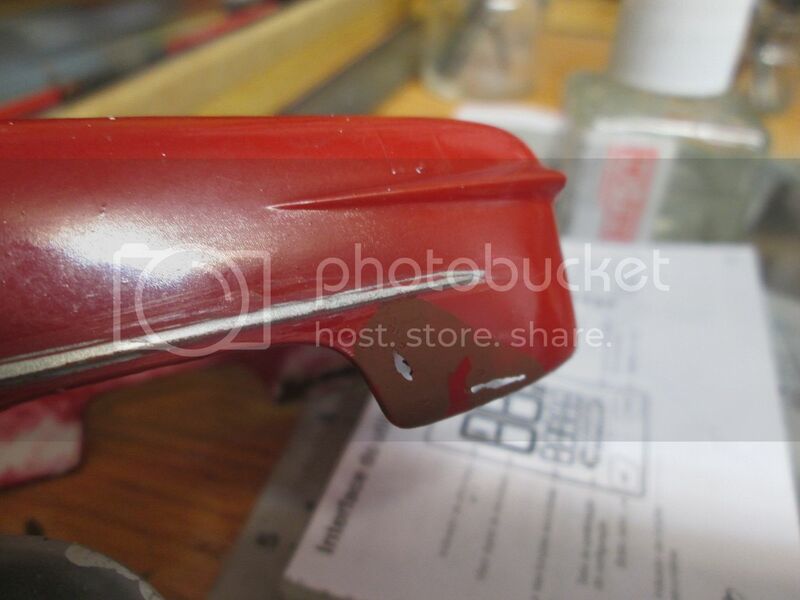 Careful not to scrub too hard as to scratch the paint or leave harsh brush strokes. I then mixed some dish soap, water and flat black paint to make a wash. You can use browns, blacks, greys, etc. This will highlight the edges. I brushed it on, let dry and then rubbed it off. Because the paint contains soap, it is easy to rub off. I used cotton balls, rags, and swabs. I then covered it with a matte clear to seal it all up. 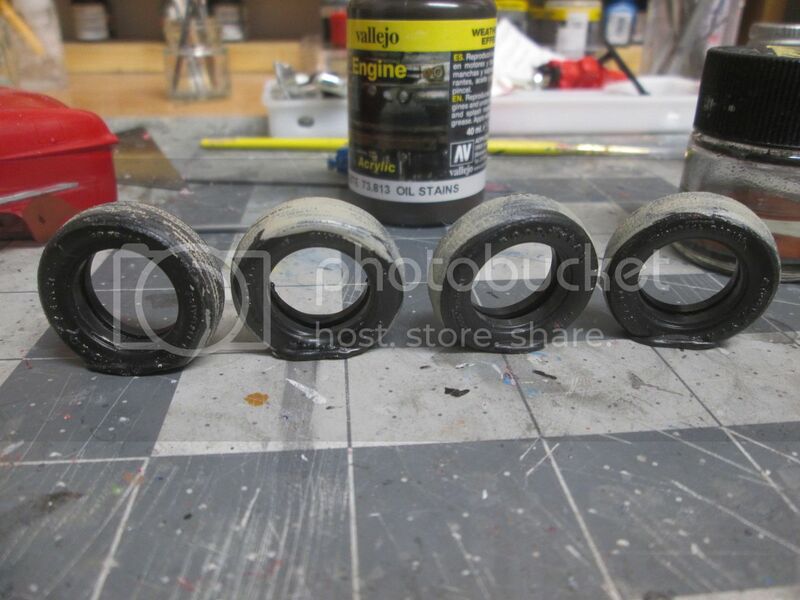 You can do this with rattle cans or an air brush. I have also found that smaller grains of salt tend to work better, but some larger grains mixed in help give it variety. BTW, the soap, water and dark paint works great for adding depth to panel lines, engines, etc. It is really nice because you put it on, let dry and you control what is left by how much you rub off. It it look bad, simply wash off with water and try again. You can't really screw it up, because until you clear over it, you can wash it off. Again, I am no expert and I stole all my ideas from others, mostly YouTube videos of Armor guys doing weathering. Thank you very much. Back to the drawin' board....er... the purple pond. Thank you. That Chevy is outstanding. I had envisioned something similar to your Ford with a trim bar shaved showing the holes. 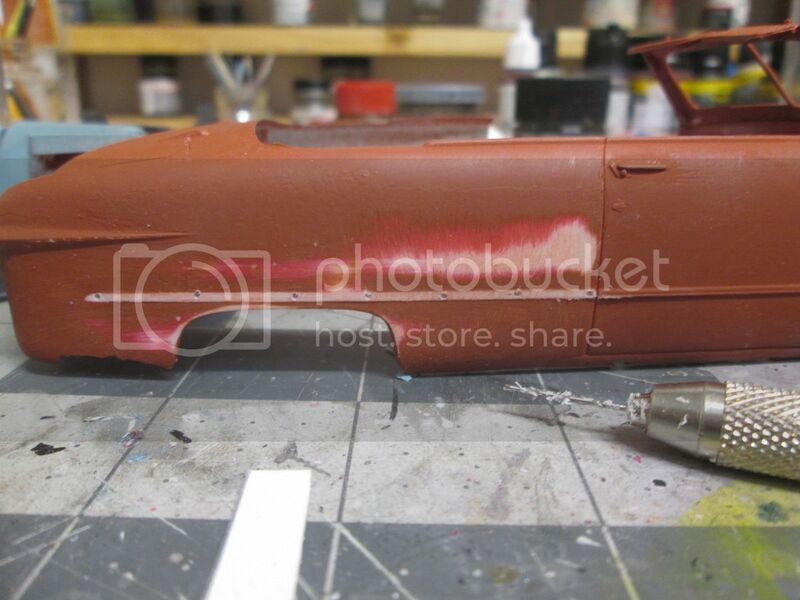 ...You can also fog in, or air brush some other rust colors too to give it a multi color of rust. I always do that. 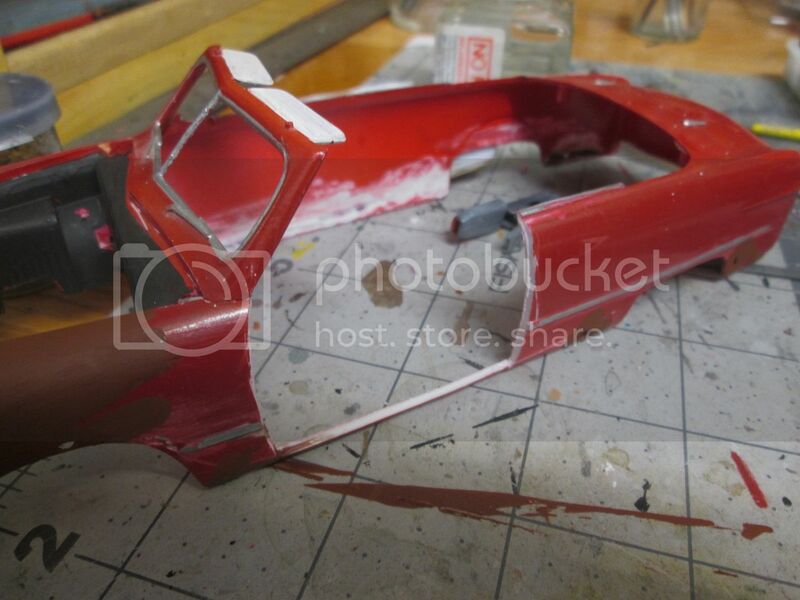 If the rust is all one shade, it looks more like red primer. 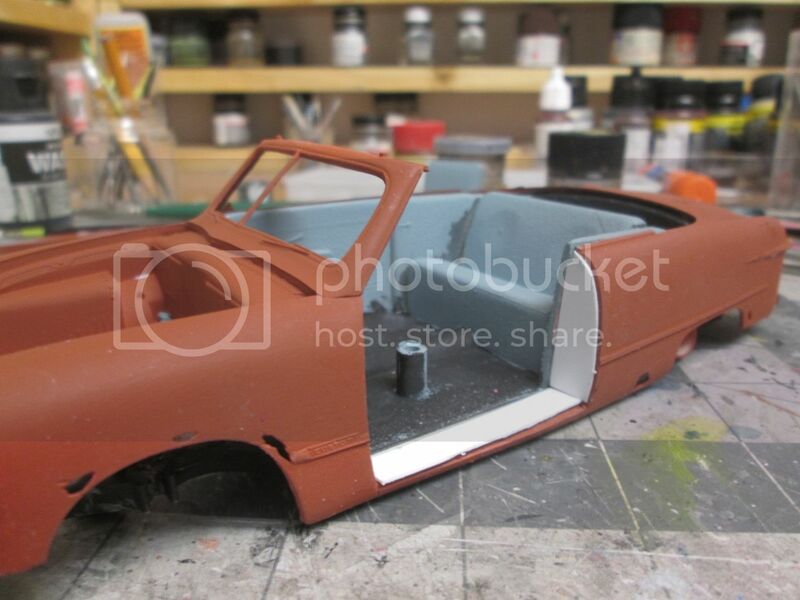 After the base rust coat, I always seal it with Dullcote or some other flat clear. That makes sure none of the later coats soaks into the rust. As for salt, try Kosher Salt, available at the local Dollar Store. It's pretty coarse and I like to mix it with regular table salt. Here's a Work-In-Progress Toyota BJ-44 "gun truck" as used in Beirut by a local militia. I put a little too much salt on the hood and got more rust showing than I wanted. Fixed that later. The blue and gray "camouflage" is something I read about. Beirut is right on the Mediterranean Sea and often hazy/foggy. Combatants would often camouflage their vehicles by grabbing ordinary spray paint cans from hardware stores and shooting them randomly onto the vehicle. If you really want to master the whole weathering thing, spend some time on the Armor/Military forums, videos, Pintrest, etc. Lots of info and these guys know what they are doing. Good thing is, it applies to cars and trucks because rust is rust and the weather effects all steel machines the same. Only difference is that everything they do is some shade or variation of camo. There are also some good car related videos out there too. I have a buddy that is into tanks, he was a tank commander in the Army, while I was in the Air Force. He is always sending me great pictures of the stuff he does, I need to pick his brain or even go watch him do his craft, he is really good. Not sure what I painted it with all those years ago, but it is good! Purple Power wouldn't touch it. I had an old can of Dunk (another degreaser), it wouldn't touch it either. 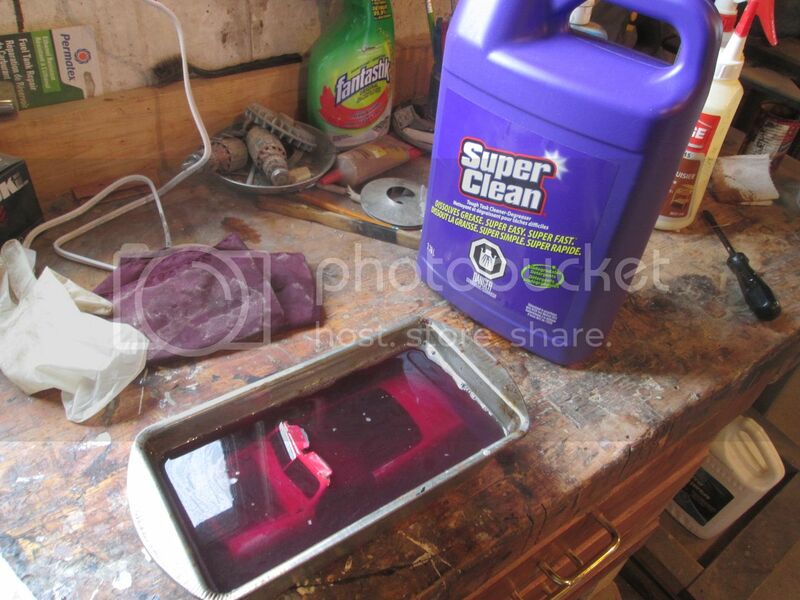 Went and got a jug of Super Clean, looks like it may work. This is where we are 5 days later. I'll give it until Monday then I'll clean it up, sand to even it out (featheredge), then I'll start with the various undercoats. Didn't wait until Monday. Now i just realized that since this is a convertible, the interior will be essentally ruined. I am open to hints, suggestions, pointers, tricks how to achieve this. For the interior you might try to make a seat frame out of wire, thicker for the out frame and thinner for the springs. Then use some cloth or paper towels to partly cover it and paint to look old and ripped up. You could use ball point pen springs, a lot of them, for the springs in the seats. Use some cotton balls for the padding under the fabric? I would fill the floor with dirt and old car parts. You could even make the top frame out of wire and styrene with bits of the top still hanging on. I may even use these ideas on an old 53 I have. Thanks Scott. I wonder where one buys "bulk"pen springs? We might just discover that it was stored under shelter. It WILL be a learning curve. I just realized that open doors require sills and jambs. Go figure. I will do the missing trim piece too. Since springs came up in this thread. 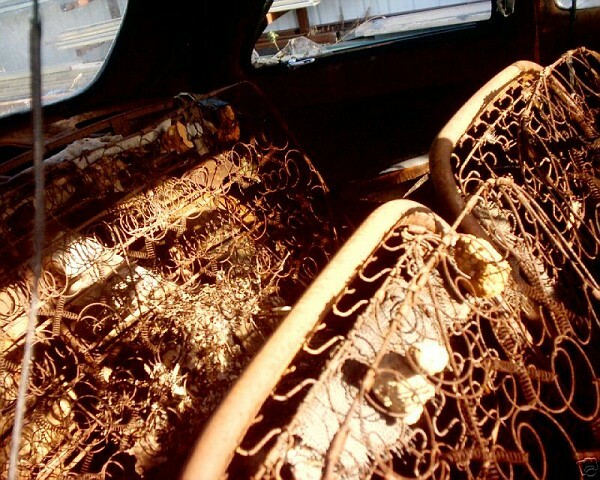 Here's a reference photo of the interior in a '49 Ford. Note there is a lot of things happening here. 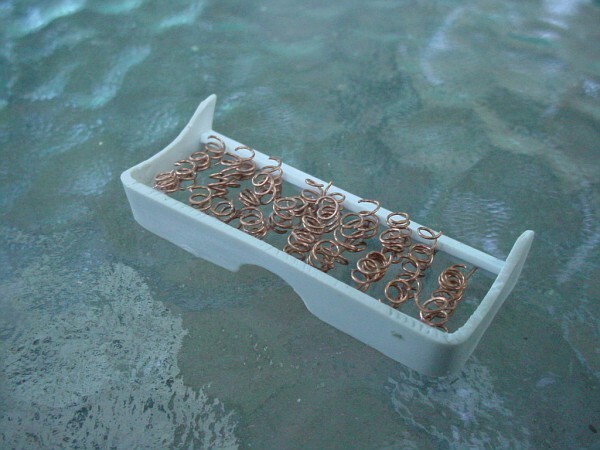 There are a few different types of springs all within a wire frame, an "S" wire on the back. Here's my attempt. I believe ballpoint pen springs would be too large. I simply wound flexible wire around a round dowel. I wasn't all that pleased with this result, but once you add some random wire, rust it all and add bits of fabric and stuffing... and it will be sitting down in an interior, it may be convincing. 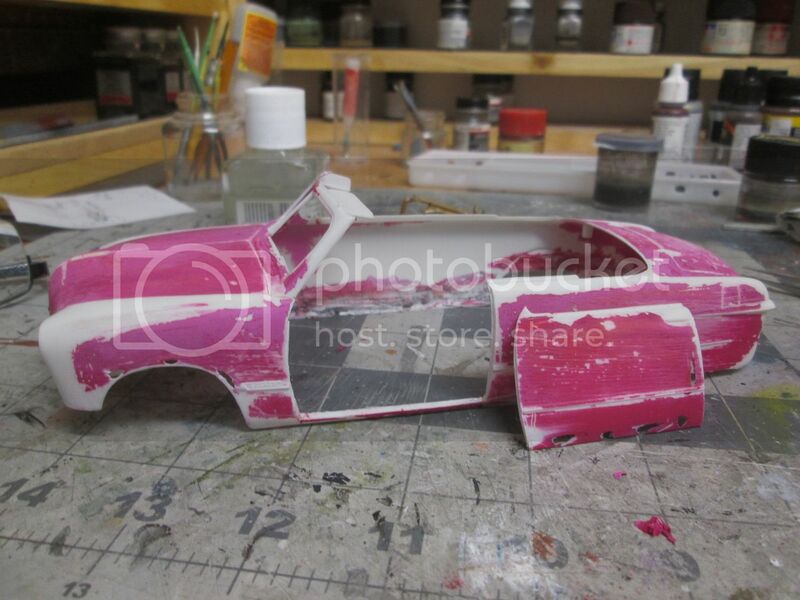 Also mentioned was the layering of paint, then sanding down through the layers. Good technique, I wet sand mine. It comes out better than dry sanding, and without sanding marks. Here's a tool I use for rust. 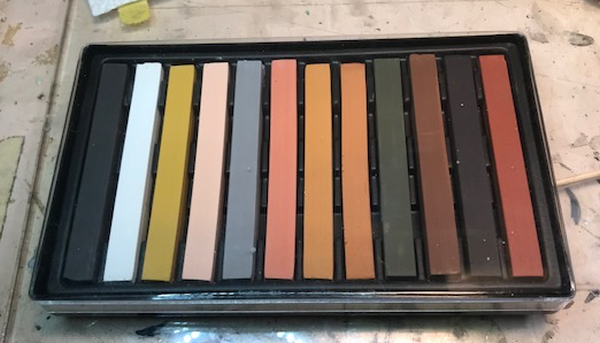 This is a set of acrylic chalks, the earth tone set, easily found at Hobby Lobby for something like $6. Sand the sticks to make dust. Then you can either apply the dust to your model dry, or as I prefer, paint with it using Testors Dullcote. I can create a post explaining my process if there is interest.